During his Peace Corps duty in Lesotho (2000-02), STG President Matt Orosz experienced first-hand what it is like to live in a rural mountain village with no electricity or running water. 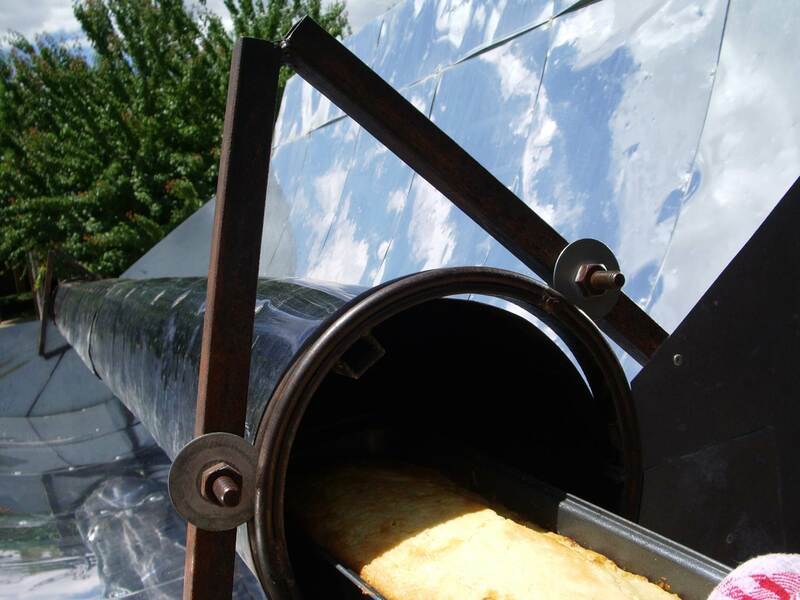 Impressed by the simplicity of a locally-constructed parabolic solar bread cooker, Matt began to experiment with ideas for converting solar energy into other useful forms, like hot water and electricity. He returned to the United States to pursue a graduate degree in engineering at MIT where these ideas were slowly formed into designs, experiments, and prototype technologies. Other undergraduate and graduate students became involved through Amy Smith’s D-Lab (Development, Design, Dissemination), the Fall 2004 2.009 (Product Engineering Process) course, and the MIT IDEAS Competition. Several iterations of collection systems were prototyped before the first field trials in Lesotho during January 2005. 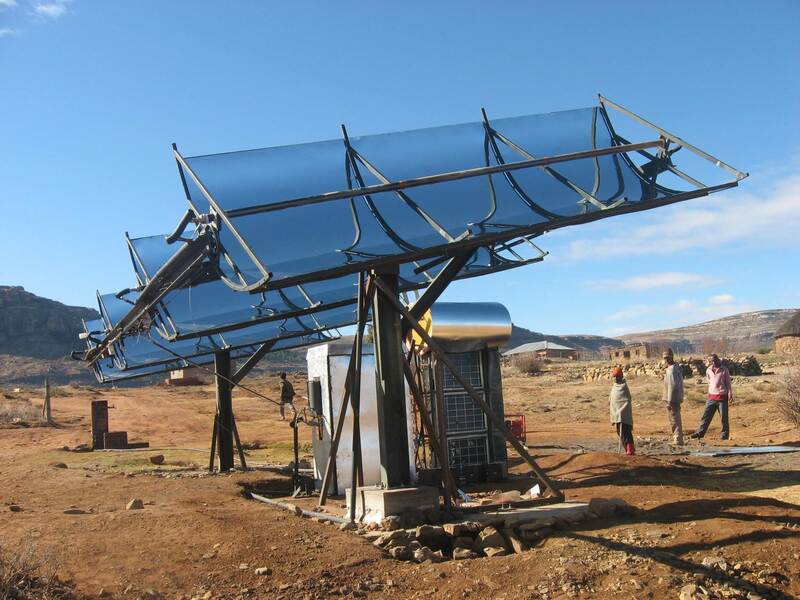 Funds from two IDEAS Awards and several fellowships from the MIT Public Service Center fueled development and deployment of a second field prototype in Lesotho during January 2006. Work began on simplification of the design to comply with locally-available supplies, such as air conditioning parts, plumbing supplies, and standard steel, aluminum, and hardware. In May of 2006, the team traveled to Washington D.C. to participate in the 2006 Development Marketplace Competition, focused on Water Supply, Sanitation, and Energy. 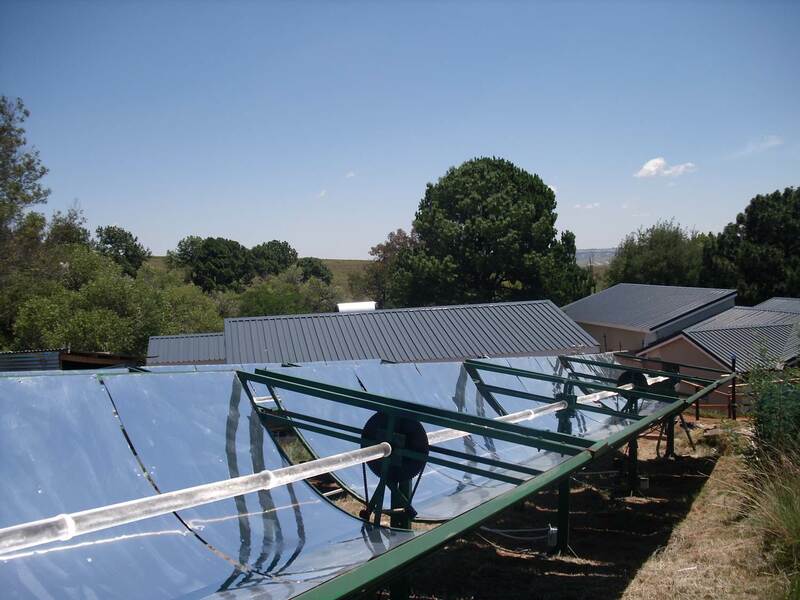 The project was awarded one of that year’s grants for work in the Energy sector, supporting implementation of further field trials in Lesotho. Three founding members of STG spent almost twelve months during 2006-07 living and working in Bethel, Lesotho (Mohales Hoek District) implementing this grant. Work on the ground enabled our team to recognize the many other challenges that need to be overcome to achieve success in rural electrification: competant technical staffing, a good business model, and excellent partnerships for implmementation, funding, and expansion. We thus built up our technology training and transfer program, including both internship and practitioner training course components. We took a step back to better understand the market and built up our holistic community energy delivery model. And we engaged stakeholders at all levels in Lesotho to ensure that our go-to-market plan will have traction. 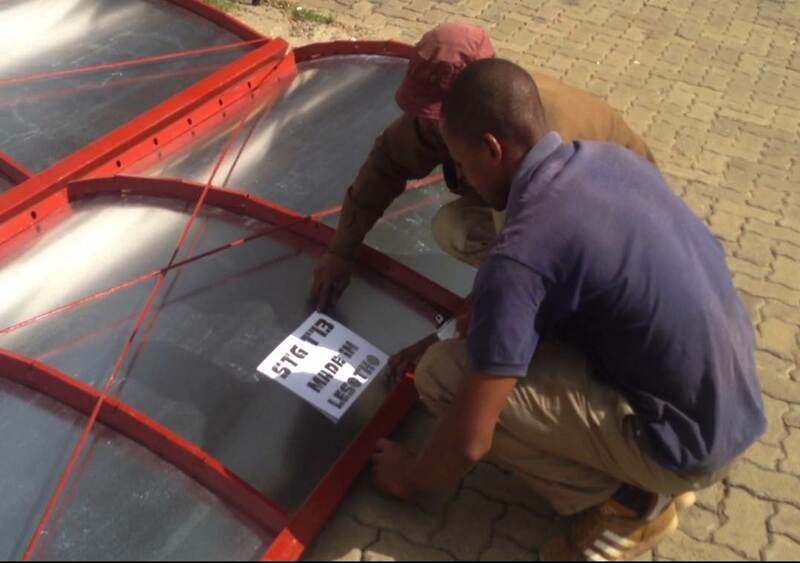 Ongoing work now combines field installations in Lesotho, promotion of local technology development and manufacturing (seen here: Made in Lesotho! ), technology training courses, and partner outreach to other countries where solar energy stands to have a major impact such as Tanzania, Kenya, and India. We are also currently scaling from institution-sized solar installations to minigrid solutions that can also supply electricity to households and businesses in the surrounding communities!